Chief Mumena said this yesterday at Lumwana district hospital during the official opening of the Cervical Cancer clinic in commemoration of World Cancer Day held under the theme: “I am, I will”. He pointed out that cancer has become the new dreaded condition that is ravaging communities, nations and therefore needs concerted efforts from all concerned to fight. He called upon the male folk not to look at the cervical cancer problem as a female agenda but as an agenda for everyone adding that men should take a step and enrol for voluntary medical male circumcision which he said is one of the key ways to prevent cervical cancer. The traditional leader also called for the revival and revamping of Safe Motherhood action groups and equip them with a particular message on cancer prevention. He advised people to be weary of the foods that cause them to fall prey to cervical cancer as some of solutions to the scourge lie in the food consumed. And speaking at the same function on behalf of North western province minister Nathaniel Mubukwanu, provincial permanent secretary Willies Mangimela disclosed that ministry of health is coming up with cancer screening centres in all districts of the province. Mr Mangimela expressed gratitude to Ministry of Health and the World Health Organisation (WHO) for coming up with the facility and encouraged the local community to make use of the facility so as to prolong their lifespan in terms of health. Meanwhile, Kalumbila District Administrative Officer Frank Siatwinda said three nurses have so far been trained to handle the cervical cancer clinic and carry out the screening adding that he is grateful to government for the training. 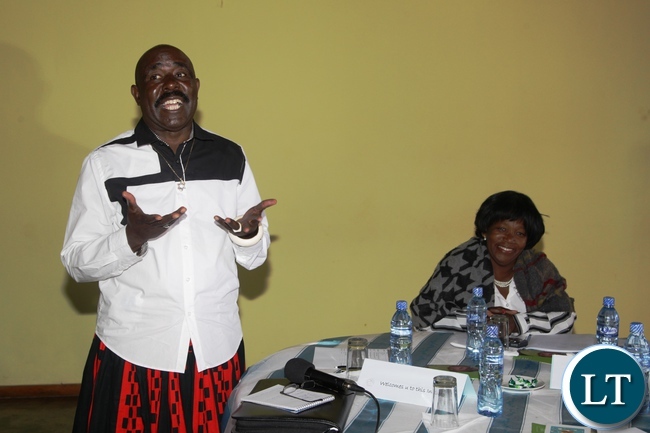 Mr Siatwinda however appealed for help to train more staff so that they reach outlying areas in the district seeing that the district is vast and requires a lot of manpower. He also thanked government for the recent provision of an x-ray diagnostic machine, further stating that the district with the support of Constituency Development Fund (CDF) is constructing a mothers shelter to cater for the expectant mothers as well as those who bedsit their sick. And Kalumbila district Health Director Dr Mando Phiri called upon everyone to make use of the cancer screening services being provided at Lumwana Hospital. Chief Mumena is a highly educated, people oriented focused traditional, nay modern chief. A good choice to address on such an important subject on women’s health and well being.